We are overwhelmed and overjoyed year on year, by the anticipation and audience that attend the Show. 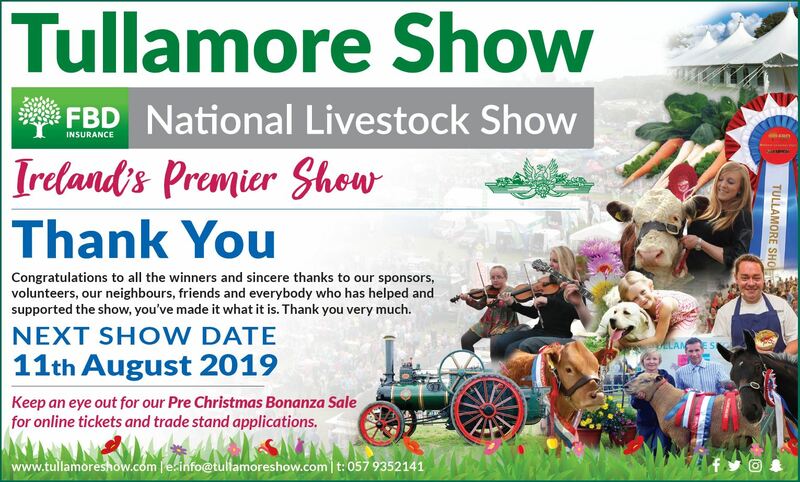 Competitors at the Tullamore Show & National Livestock Show are showing us the standards that are in keeping with Ireland's rich agricultural trade and expertise. Excellent. The country's top talents were rewarded at this year's show, and we look forward to seeing continued success for those working in agriculture and food industries, and look forward to your attendance at the show again next year. 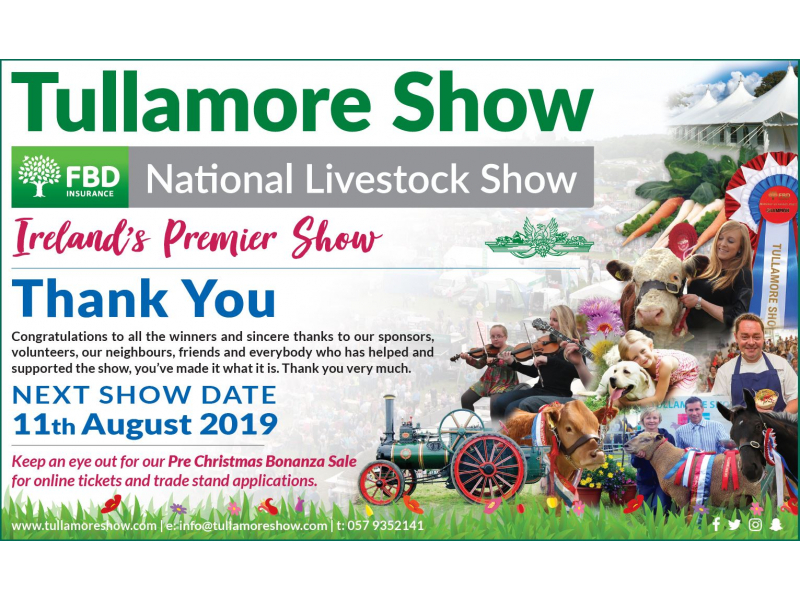 Sincere thanks to our sponsors, volunteers, our neighbours, friends and everybody who has helped and supported the show. You've made it what it is. Thank you very much. We especially want to thank you, the visitor, for coming to the Show and supporting the best in Ireland's agriculture and country lifestyle.